I know, I am a bookaholic, but Almost Moldovan Lars was running late for our lunch and I just couldn’t pull myself away from these that a woman was selling in the street next to the restaurant where we were meeting. 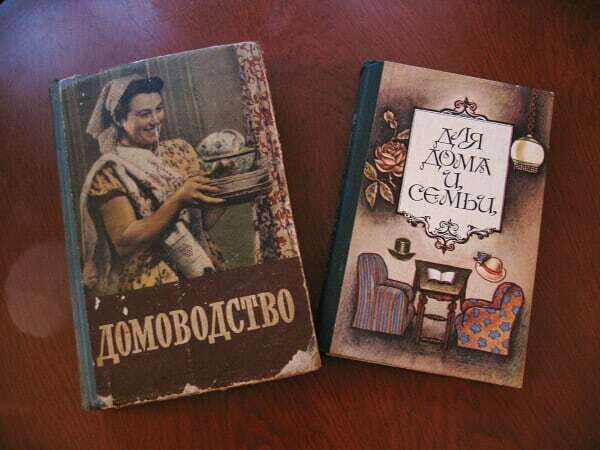 One is from 1958 and one from 1982, and they both give helpful guidance on how to best run your household. Perhaps some useful advice for me?